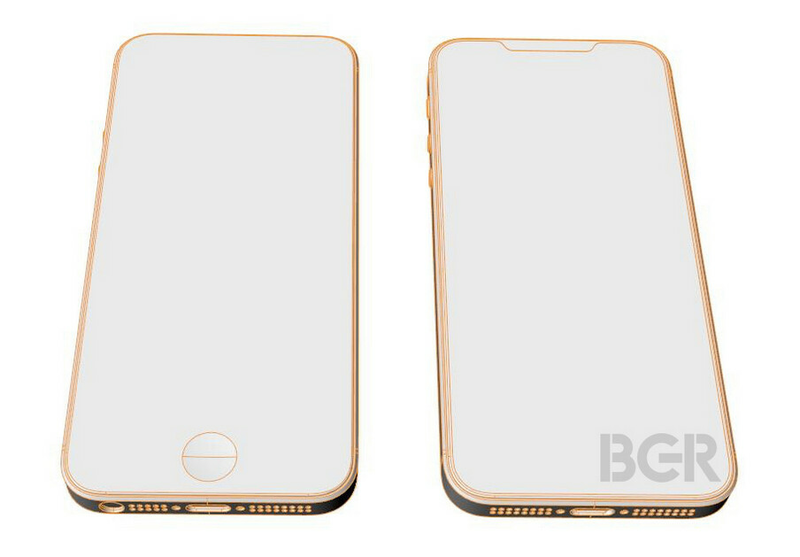 Sketches included in a report published today are said to show off the design of the rumored Apple iPhone SE 2. Yesterday, we went into depth about what you might expect to see if Apple does produce a sequel to its lowest priced currently produced handset. 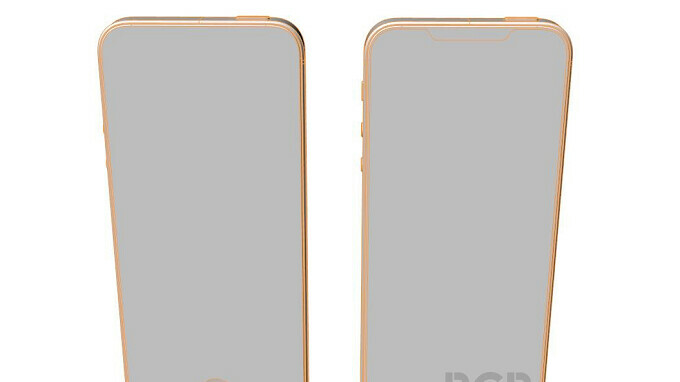 The images, which show the Apple iPhone SE on left and the iPhone SE 2 on right, show that the device will feature the notch. In addition, the lack of a Touch ID button on the front of the phone would seem to indicate that the iPhone SE 2 will have Face ID. And the 3.5mm earphone jack is now gone. The sketches dovetail perfectly with a video found on China's Weibo site that allegedly shows off the iPhone SE 2. Considering that this model is expected to be Apple's lowest priced new phone of 2018, the odds actually favor it keeping the same design as the OG model, with a few spec bumps of course. The iPhone SE 2 is rumored to carry a slightly larger 4.2-inch screen and is expected to be powered by 2016's A10 Fusion chipset. Apple will reportedly release a trio of new models in September, and all three are expected to have features of the iPhone X included. According to top Apple analyst Ming-Chi-Kuo, we should see the edge-to-edge screen, TrueDepth Camera, and Face ID on the 5.8-inch Apple iPhone Xs, the 6.5-inch Apple iPhone Xs Plus, and the 6.1-inch Apple iPhone 9. The latter will be the lone model to sport an LCD display. It also will have just one camera on back, and will not offer 3D Touch. Apple is holding an event on March 27th. While we expect to see the unveiling of new Apple iPad Pro models that use the iPhone X design language, we could also see the introduction of the iPhone SE 2. I liked the original 5s/SE design. This device, if done right could get me to give Apple a look this year - should I upgrade. I agree, but people will complain about them keeping the 4 inch screen, when all we want is a bigger screen, not a bigger phone. The screen will most definitely be bigger than 4in. And if the images above are true, then it won't be a bigger phone either. That should be more pleasing to both camps. Lately I'm tired of using smartphones. I don't use them much. I think I can live with a small phone again. Pretty cool! However, too small for me. Great for a kids phone on a phone plan. Many of us like the smaller size without being "kids". :D I switched from the 6 to the SE because I use the phone one-handed and even with fairly large hands you still have to shuffle the 6 sized phones around at times. Oddly you hardly ever hear anyone with a bad word to say about the SE, I hope this rumour has some substance because the even larger X doesn't appeal to many. I’ll definitely get one as well as a emergency phone :) that’s why I like the x as well makes it easy with one hand use! Kids get big phones, because they don't have jobs and can't afford PROPER media devices. My iPad 2 is 10 x the media device that is by that metric, my 58" TV + cable + PS4 etc etc etc... Remember when phones used to be phones? And smaller was better? We're going back to the late 80's with people looking like they're out of Miami Vice with the size of "phones" now. Don't have reading comprehension? I didn't say that, you are just desperate for a reason to get offended. A phone isn't a proper media device no matter the size. Want to watch shows and movies? Get a TV. Want to play games? Get a console or PC. I guess if you are on a kid on a budget and can't afford proper devices for media, I understand, but don't pretend like that gimped 6.2" screen is some pinnacle of media entertainment. For stuff like the dentist waiting room or airport, a 4" device can certainly get you by, and not be a hindrance to hold or keep in your pocket. To answer your question, yes. Or you are just addicted to your device. Here come the Notch Haters. Most everybody hates the notch tho. I get why its there but it definitely distracts from what would otherwise be a beautiful phone. No they don’t. People on tech sites are obsessed about it. Normal people don’t care. you are right, most normal people don't care. But seeing as we are here, on a tech site, most everybody hates the notch. Its not a huge deal to me. but it is definitely not attractive. source would be pretty much any article regarding the iphone x. Agreed. I fail to see how a tiny bit of screen space on either side of the notch improves the user's viewing experience. I may as well take 2 feet of black duct tape and put it top center of my tv to get the same effect. Apple wanted to differentiate its design from the rest of the Android herd. The designers couldn't think of an attractive design so they thought: Why not just make it ugly? SUPER UGLY? And that's where the 'notch' comes into play. But with that being said; I genuinely looking forward to it as The iPhone 5 is one of the best looking smartphone out there (Kinda like The Jaguar E-Type) and I am more than interested to see a modern take on that. Don't get me wrong; I do wish they dump the notch for good... G'Day! No they did not want to differentiate. It's a technological choice which you have to make if you go with smaller bezels. Do you squeeze them on top and bottom like Samsung? Put them in the corner like Xiaomi? Do you try to make a little notch for all your sensors? It's a choice that will be fixed in later years. How dare we hate on a weird cutout on the part of the phone we look at 99% of the time? Put the notch dead center of the screen - doesn't matter...they'll always find a way to look past design changes/flaws. They didn't complain when they lost their headphone jack, and they likely won't mind if apple removes the speaker as well. So Apple is reusing the design of their Iphone X for everything next year. They're all going to look more or less the same. I wonder if Apple is going to get as much s**t for reusing a design twice in a row, as Samsung did for doing it with the S9. I have a feeling they won't, as they reused the same designs 3-4 years in a row twice without much uproar. Given that they're using the same design language as the iPhone X, wouldn't this screen be significantly larger than 4.2"? My guess it would be around 5.2" which is a nice, compact design. 5.2 isn't compact, no matter what the bezel size is.